CoreCentric™ helps leaders uncover their natural preferences to then identify right-fit roles in advancing philanthropy. The key here is “natural”, since we all develop skills in areas we don’t necessarily enjoy. Leaders should select cards that resonate with who they are all the time and when they are doing what they like to do rather than situationally or because they are “good” at it. 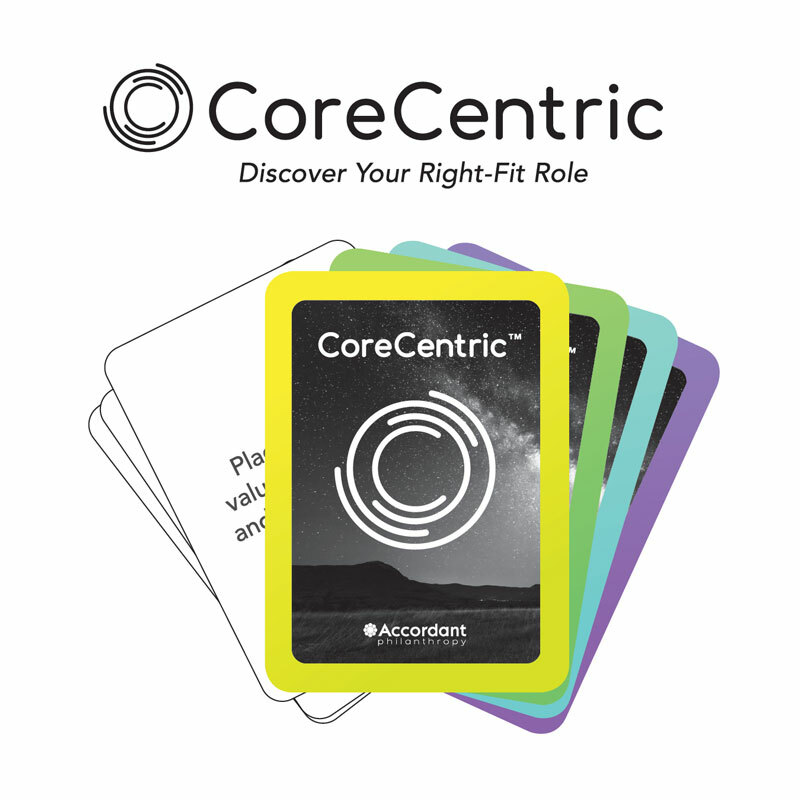 Core Centric™ can be a solitaire game or a group exercise. In solitaire, leaders go through the entire deck to select five cards that best fit who they are. In group, cards are spread on a table to let the group look at cards simultaneously and to let each individual select five cards. After cards are selected, leaders flip the cards over to identify their dominant color group. Colors link to a right-fit role profile. Please note that colors are on the backside of cards to decrease selection bias, and selections should be made without drawing attention to colors in advance. Profiles and roles should be shared after each person has completed the card selection process.